Value is optimized for all – patients, families, caregivers, health care providers and health systems. As a geriatrician at Trinity Health, I wish that I could say that Trinity Health professionals (or professionals from any of the other four premier health systems in the country chosen by the Hartford Foundation to participate in the prototype stage of this initiative) came to this purely as teachers and not at all as learners – but that would not be true. As Terry Fulmer and Amy Berman of The John A. Hartford Foundation wrote in a special article in the Journal of American Geriatrics Society earlier this year, "Although excellence exists today, it is not evenly distributed, and not all older adults have the benefit of an age-friendly health system that delivers on the promise of high-quality, reliable care across the continuum of care." Our systems all agree with this premise. What the five health systems have in common is a desire to inventory what we are doing well and spread it to others, all while identifying where there are opportunities for improvement and commit to filling those gaps. Older adults and their loved ones depend on us for that and deserve no less. Each system has tapped passionate professionals charged with spreading evidence-based models at their own site while also building a “real-world approach” that can be systematically replicated in other settings with other providers and in other communities. Mentation (e.g., assessing for depression, delirium and dementia and treating optimally with both pharmacological and non-pharmacological approaches). The development of this important framing has enabled the five health systems to hit the ground running. 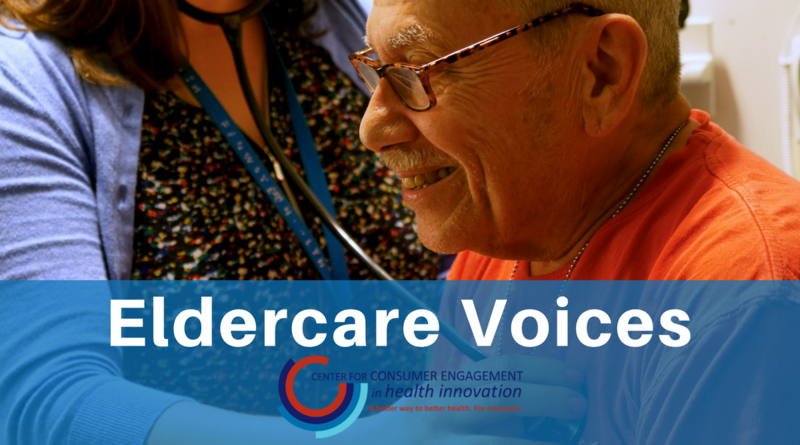 All the systems shared that while many sites are implementing these models of care or have established programs that support these aims (e.g., Acute Care for Elders units, NICHE hospitals, Green House nursing homes, geriatric assessment clinics, PACE organizations, etc. ), none of the systems could honestly say that the 4Ms were systematically being implemented across all communities and across all settings of care. So we have begun our journey here at Trinity Health with the support of The John A. Hartford Foundation, the Institute for Healthcare Improvement (IHI) and some of the leading aging experts in the country. The age-friendly prototype is being built from the FDR philosophy on action: "Do something! If it works, do more of it. If it doesn't, do something else." It's not getting overwhelmed by the big challenges ahead to create reliable and sustainable change across our entire health system. We know the change will not happen overnight. We will not allow "paralysis from analysis" but have committed to utilize the PDSA approach: Plan, Do, Study, Act. Though our different teams have begun their journey, working on each of the 4Ms, I must admit that the one "M" that resonated most with me was to make sure that we stop doing well-intentioned things to an older adult before we truly learn what matters most to that individual. What a simple concept, but how often are we too busy working on a person's heart before we know what's in their heart? How often do we begin chemotherapy just weeks before the patient's grandson's wedding, when, if we asked, the older adult would have taken the minor risk of starting treatment a few weeks later so that she wasn't so exhausted that she couldn't dance with their grandchild. How often do we discharge an older adult to a skilled nursing facility because we are concerned that the person may fall at home yet that older adult is able to understand the risk-benefit of the choice ahead and still wants to go home? So, yes, what matters most to me right now is that we at Trinity Health understand what matters most to each older adult we serve and that we ensure that our treatment goals and our overall approach to care align with each individual's wishes; that we take this approach in every setting and in every community; and that the goals of the individual are what drive the behaviors and actions of every one of our providers. Dr. Steven M. Stein is the Senior Vice President and Chief Medical Officer for Trinity Health Continuing Care. He has oversight for Trinity Health's home care agencies, hospices, nursing homes, PACE organizations and senior housing complexes. Dr. Stein received his Bachelors in Computer Science at Columbia, his medical degree at Cornell and did his residency at Montefiore Medical Center. He did his geriatrics fellowship at Harvard where he also received a Masters in Health Services Administration at the School of Public Health and subsequently served on the faculty of the Medical School as a member of the Division on Aging. His career has placed him in leadership positions in both managed care and on the provider side – consistently advocating for our most vulnerable citizens receiving high quality, cost-effective health care that is targeted to what matters most to the specific individual served.